Here is A Sweet Tooth’s Guide To 24 Dessert Places In Somerset. 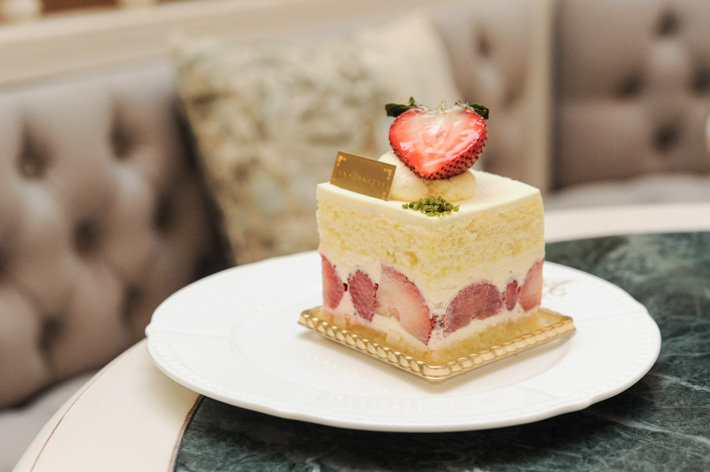 Antoinette is one of Singapore’s favourite patisseries in Singapore and it has an impressive range of desserts such as Mont Blanc, Le Royale, Saint Honoré l’ Amour, Strawberry Shortcake, and their namesake creation, Antoinette – a milk chocolate mousse infused with earl grey tea. Arteastiq Boutique Tea House at Mandarin Gallery exudes the kind of sexiness you would associate with a date night or a regal dining affair for the high society. The Silk Thread (S$13) is an interesting rendition of crème brûlée. It is not your usual sweet custard; it is infused with osmanthus. Lightly creamy and significantly less sweet, this variation is served with fresh plump berries. Everyone knows Ben & Jerry’s for its interesting ice cream flavours. The popular ones at [email protected] include Chocolate Fudge Brownie, New York Super Fudge Chunk and The Tonight Dough. Apart from that, the ice cream parlour also offers sundaes, smoothies and shakes. 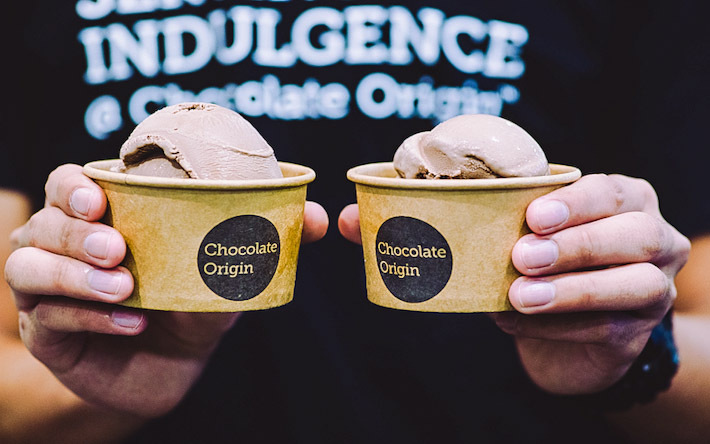 Specialising in molten lava cakes, Chocolate Origin’s intense chocolate cake is paired with a scoop of cold vanilla ice-cream at the bottom. If that is not enough chocolate for you, get the speciality cakes that come in two flavours—original and dark chocolate. 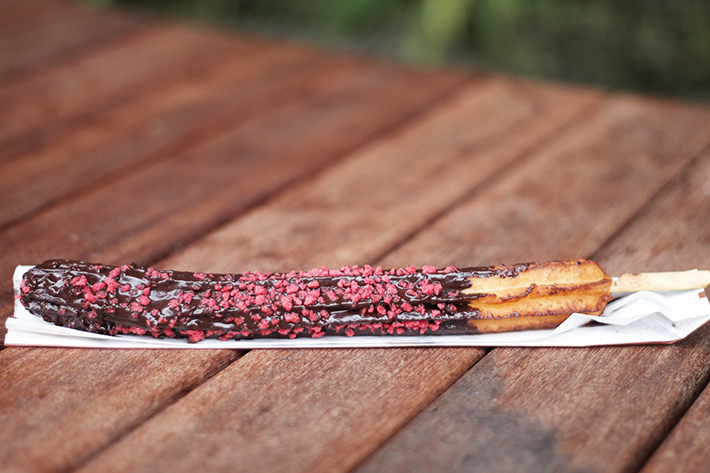 Our picks from this popular Korean churro are the Dark Chocolate-dipped Churros and the filled churros, best eaten warm for that satisfying crunch. 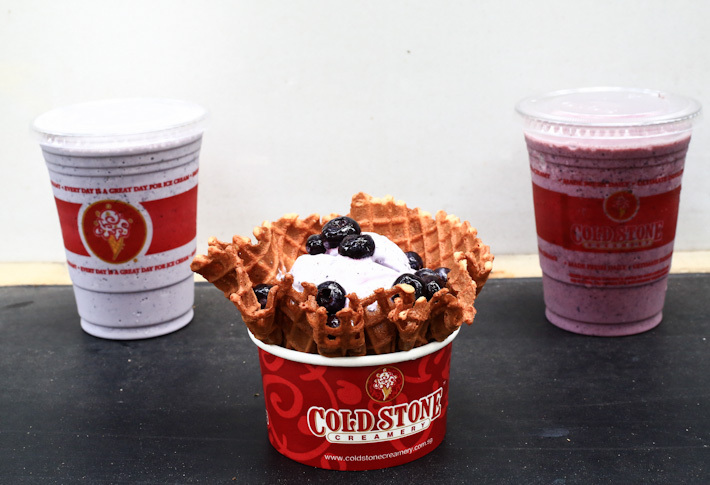 Dedicated to being a multi-sensory ice cream chain, Cold Stone Creamery is known for their top quality ice cream and energetic crew working behind the counters. Do not be surprised if the friendly staff to put up a short but exciting performance where they expertly toss your ice cream in the air before it lands into the cup. One of the top sellers at Dean & Deluca is its Rainbow Cake (S$7.50). The pastry chef uses six different fruit extracts – strawberry, orange, lemon, green apple, blueberry and grape – to give the cake its brilliant rainbow colours. 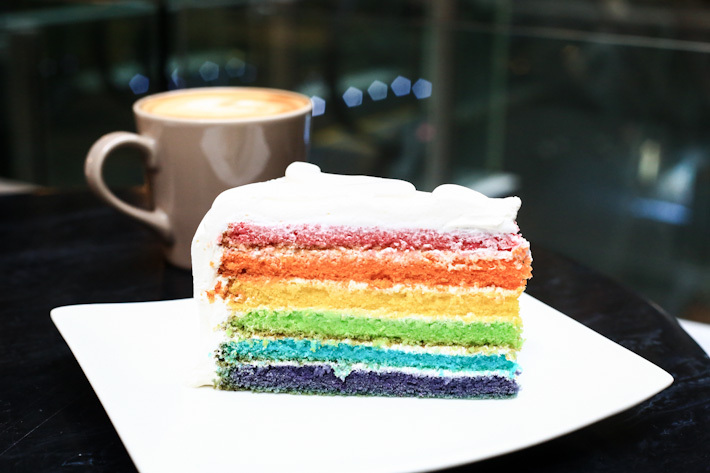 In fact, we liked it so much that Dean & Deluca’s cake is listed in our guide to Singapore’s best rainbow cakes. Aesthetically pleasing Japanese-Italian inspired desserts are the pride of Dolce Tokyo. Their Dessert Bento has five different types of desserts all neatly packed into a Japanese-style bento. You get to pick and choose a variety of options to personalise your own bento set. Geláre’s ice cream are all natural and do not contain any artificial ingredients, you can expect only the real deal. And everyone knows about Geláre Cafe’s half-priced promotion for their regular waffles on Tuesdays. 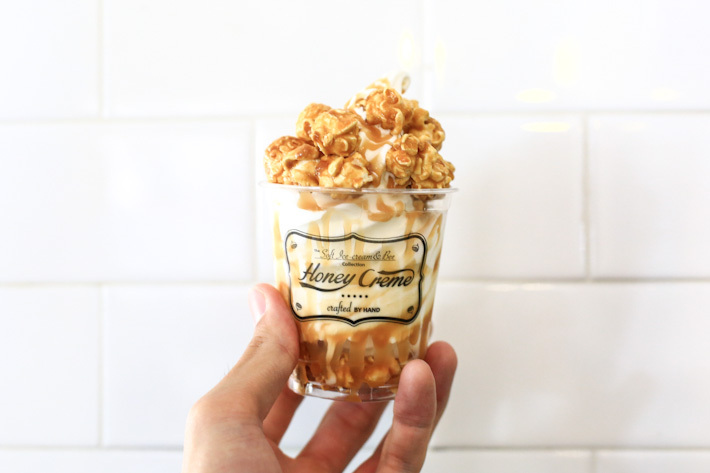 Known for its range of Korean-inspired soft-serve ice cream topped with different toppings such as honey comb (S$5.90), Organic Cotton Candy (S$5.50), and Popcorn (S$5.50) Honey Creme—a popular Taiwanese ice cream store has finally opened its first store in Singapore to much fanfare. We will never say no to soft-serve ice cream on a hot day! 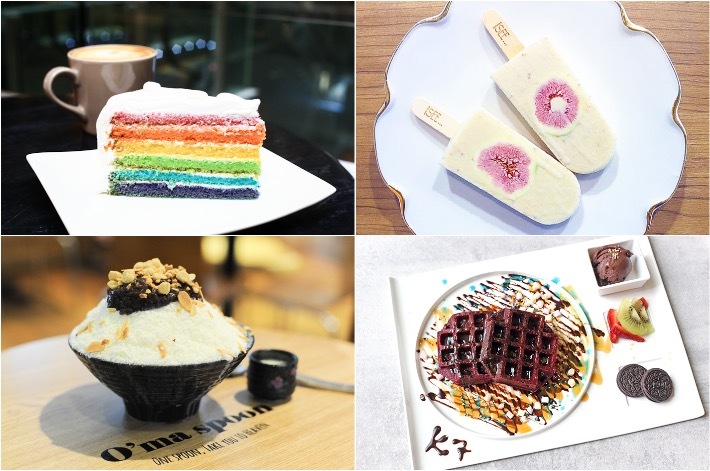 Opened by Korean comedian Shin Jung-Hwan, this Korean Bingsu outlet makes you feel as though you are in Korea during the winter season. A polar bear structure right in the middle of the shop has captured the hearts of many visitors and it is apparently a snow making machine that will create artificial snow. 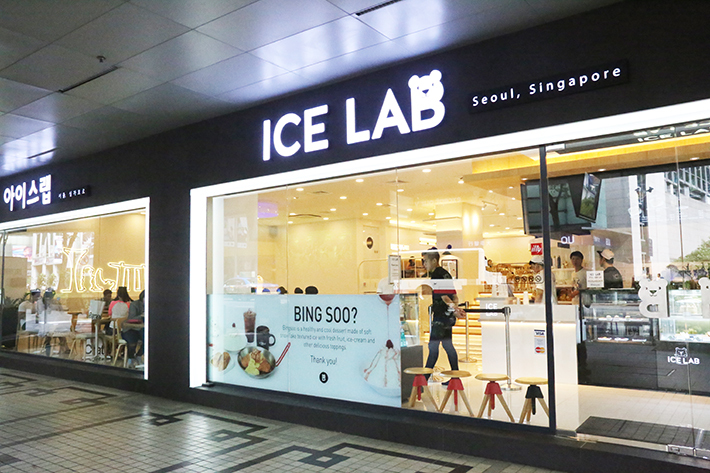 Choose between a range of Bingsu flavours such as Injeolmi, Milk, Oreo, Green tea and much more. This well-known New York cake shop prides itself on creating the freshest and finest cakes. 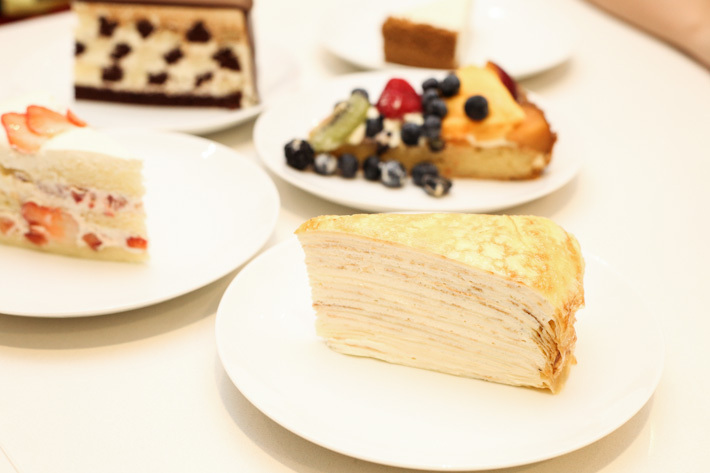 The signature cake Lady M Mille Crêpes consists no less than twenty paper-thin handmade crêpes layered with light and fresh cream. With the array of toppings and sauces, Llaollao has revolutionised froyo, and they are no less pretty than ice cream sundaes. 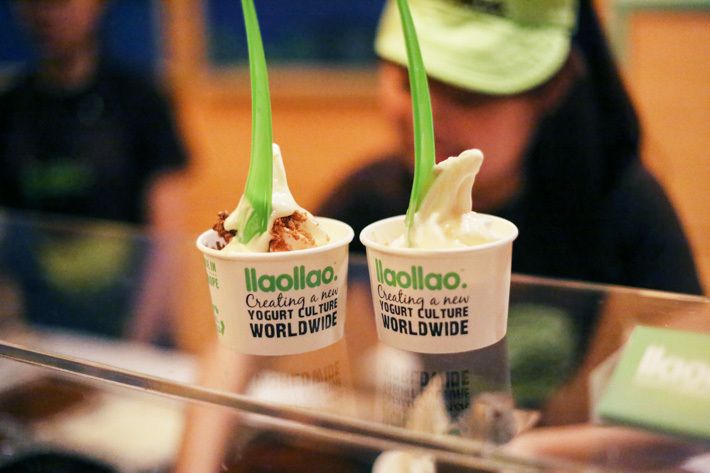 Sanum is Llaollao’s signature – at S$6.95 per cup, it is really a froyo parfait that you can customise to your own preferences with three types of fruits, two crunches and one sauce. Hong Kong Sheng Kee Dessert at The Centrepoint is where you will find authentic Hong Kong style desserts such as their Mango Combination Series, Rice Ball in Paste and Durian Sago. 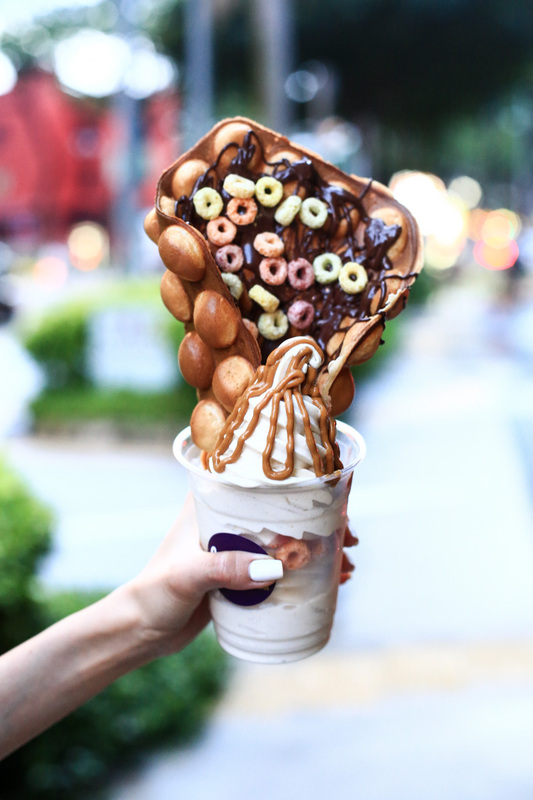 Hvala Waffle Bar, a food kiosk at the basement of [email protected] is popular for its Japanese soft serves and drinks. 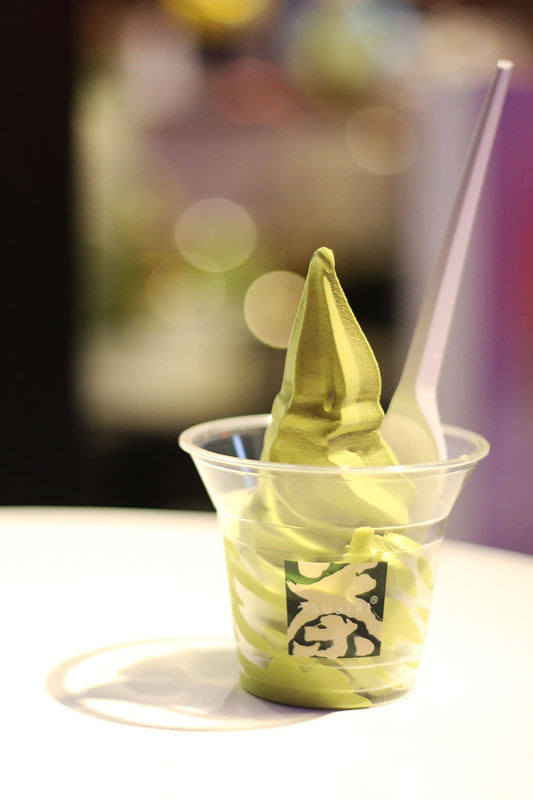 Try their Matcha and Houjicha Soft Serves. 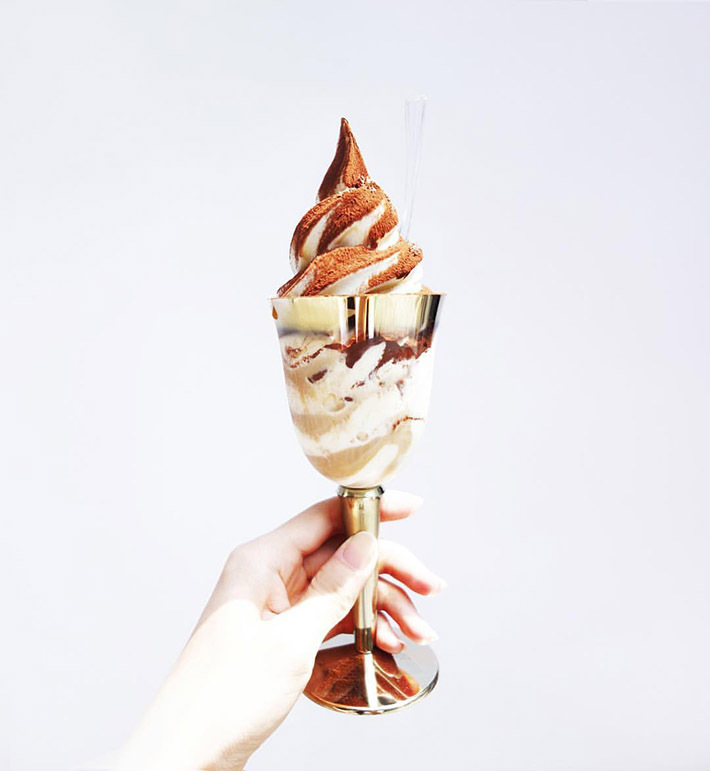 Kiss The Tiramisu has been a hit in South Korea ever since its debut in Hongdae, fusing Tiramisu and soft serve ice cream served in a swanky gold-rimmed plastic “wine glass” for your perfect social media photo. Each tiramisu soft serve is made pretty similarly to an actual classic tiramisu, with mascarpone cheese, ice cream, crushed cookies, coffee liqueur and cocoa powder. 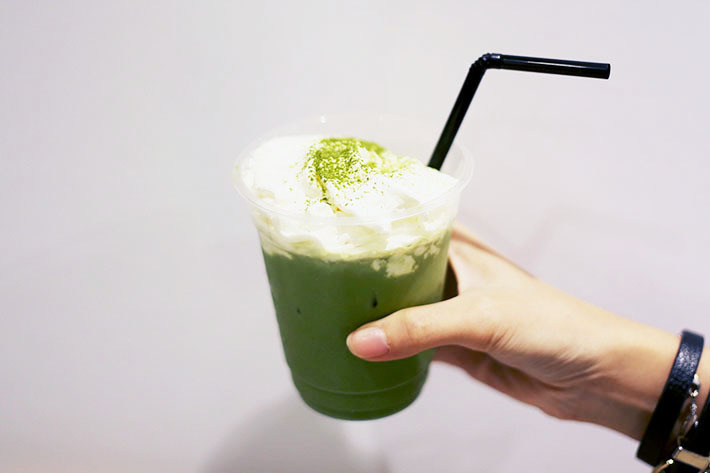 Matcha drinks are also really popular here and we can see why. Their matcha latte is one of our favourites and one that we always return for. The Matcha Tiramisu (S$6) and Matcha Chocolate Parfait (S$10) were two desserts that we enjoyed on our trip there. 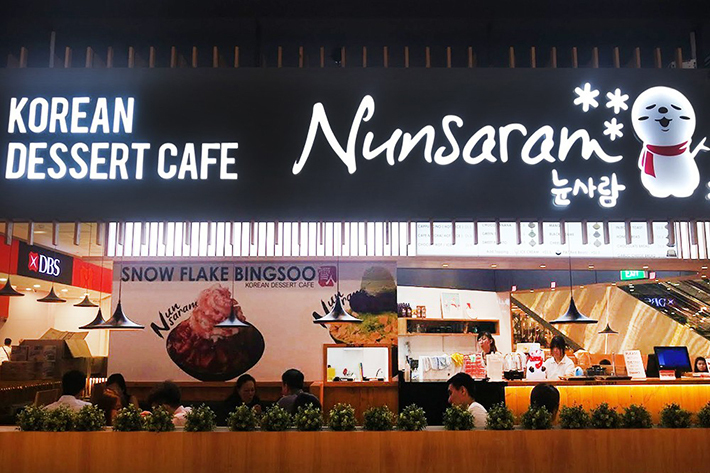 If you are heading to town, do swing by Nunsaram. 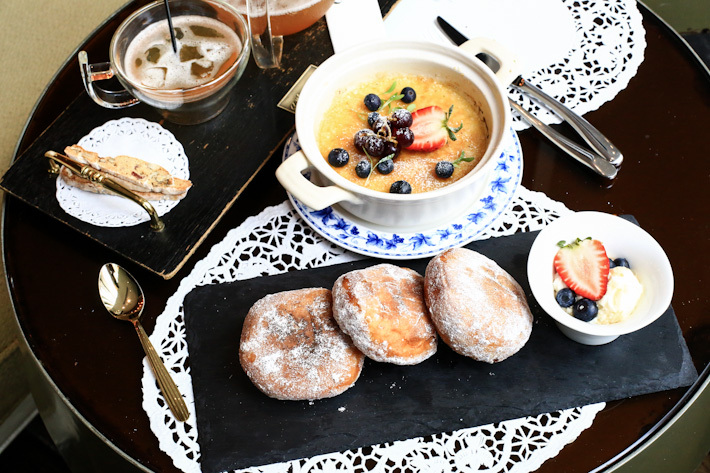 Conveniently located at Orchard Central, it prides itself as the go-to cafe for desserts or simply a place where friends can hang out after a meal. 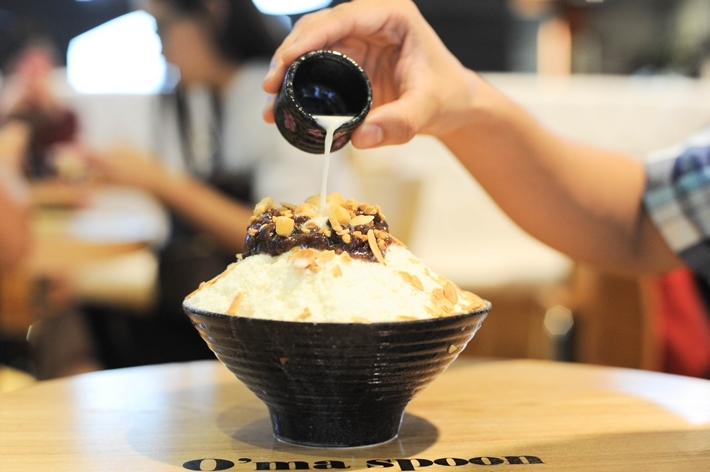 Most of the Bingsu in the cafe are presented with a scoop of ice cream sitting glamorously atop the pile of ice. We heard that they use fresh ingredients for every serving of Bingsu – such as the Sweet Potato Bingsu (S$12.90), where the purple paste is acquired from the sweet potato root itself. Having their Bingsu was akin to eating snowflakes with a melt-in-your-mouth texture that all of us approved. Their Patbingsu (S$12.80) did the phrase “less is more” justice. We were in awe of how a classic Bingsu that was served in just sweet azuki beans atop milk ice shavings could rock our worlds with its heavenly medley of textures and flavours. Thai coconut ice cream is a dessert we will always love but not all of us have the time or money to fly over to Bangkok whenever that craving kicks in. Pong Handcrafted Gelato in Scape is where you can go to satisfy your Thai coconut ice cream desire. The fresh gelato is placed in a coconut husk and you get to choose toppings that you fancy. We went for the Red Velvet Fluffy Waffle and Chocolate Seduction Truffle Cake. 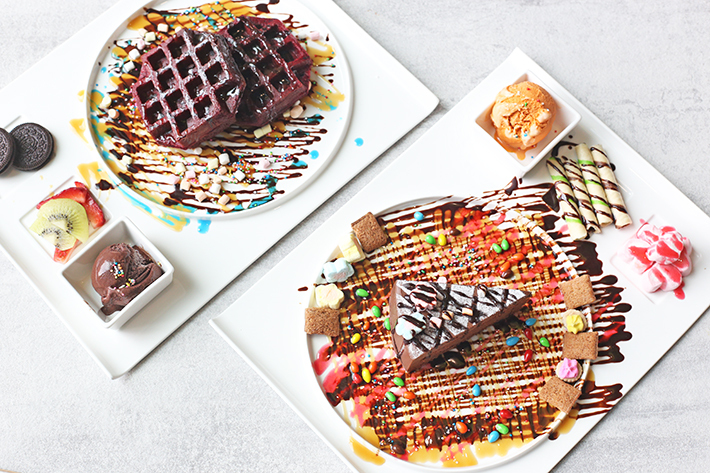 The former comprises octagon-shaped delightfully crisp red velvet waffles that are pillowy inside, while the latter is a sinfully rich chocolate cake alternated with generous amounts of chocolatey mousse. We highly recommend going for Tsujiri Tea House’s classic Matcha Latte (S$5.60) and matcha soft serve (S$4.80). The matcha flavours are crazy intense but so good at the same time. 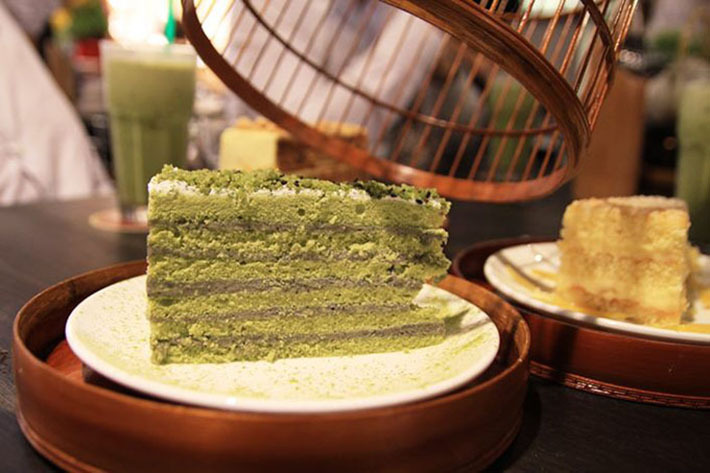 Die-hard matcha fans will definitely fall in love with it right away. Best known for their photogenic cupcakes, Twelve Cupcakes started out in 2011 founded by local celebrity couple Daniel and Jaime Teo. 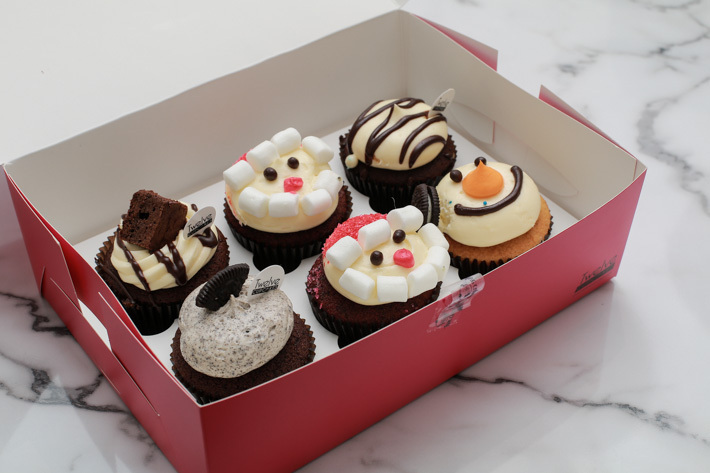 Their standard menu consist of flavours such as Red Velvet, Cookies And Cream and Salted Caramel. In addition, they also have seasonal menus that change frequently to offer more variety. Fried ice cream rolls were all the rage on social media just awhile ago after it became popular in Thailand. While the trend is dying down, you can still find ice cream rolls at 21 CUBE Artisan Ice Cream. They have a good variety of flavours and toppings for you to choose from. For more recommendations, read The Ultimate Orchard Road Food Guide that features the best places to eat at in Orchard Road.